One quiet weeknight in June, my phone buzzed. Pause, then another alert. A steady stream of notifications swept in over the evening. What on earth was going on? Just moments earlier, I had tweeted a request for reading tips. The goal: to make my way through books written by women from every country in the world. Recommendations were flying in thick and fast. My new bookshelf would be piled high in no time! My debit card quivered. The following days saw a global span of readers, authors and translators nudge me towards women writers from Cameroon, El Salvador, Lebanon, Mauritius … I gathered all of them into a blog and set off on my biblio-travels. And it’s been quite the journey. My starting point – a realisation that anglocentric and male-dominated reading habits were blinkering my worldview – feels a long way back. Sure, the publishing industry’s gender bias is old news, but I was shocked to learn that male authors dominate more than two-thirds of the translated fiction market. Meytal Radzinski, founder of Women in Translation month, recently exposed the solid foundations of this status quo: over five years, we’ve seen no change to the proportion of translated fiction written by women authors – just 28-30% is the rule. Now think about that figure in the context of translated works squeezing into only 1.5% of the UK’s fiction sector. Yet you don’t have to look far to find plenty of excellent translated fiction by women. Just this summer, I have visited every continent – including Antarctica, thanks to Alicia Kopf’s sparkling Brother in Ice, translated by Mara Faye Lethem. Some days I’ve been immersed in stories by young debut writers, other days in stories by garlanded literary stars born more than a century ago yet who are often only newly out in English. I try to steer away from higher-profile authors, for instance, swapping Italy’s Elena Ferrante for the acclaimed but lesser-known Elsa Morante. Three months in, I’m 10% through and on track to finish my lap of the world in 2020. That may sound a long way off, but I want to avoid rushing and be realistic about reading 200 books alongside full-time work and a social life. Will I struggle to commit for the long run? Absolutely not. I’ve staved off any potential non-fiction withdrawal symptoms with the occasional long read online, and am getting by with reading reviews and interviews with British authors whose books I’m missing in the meantime. In the same era, another splendid writer influenced by both Carson and Eiseley — the great physician, etymologist, poet, and essayist Lewis Thomas (November 25, 1913–December 3, 1993) — explored this profoundly humanizing quality of the natural world in a short essay titled “The Tucson Zoo,” originally published in The New England Journal of Medicine and later included in his 1979 collection The Medusa and the Snail: More Notes of a Biology Watcher (public library). I was transfixed. As I now recall it, there was only one sensation in my head: pure elation mixed with amazement at such perfection. Swept off my feet, I floated from one side to the other, swiveling my brain, staring astounded at the beavers, then at the otters. I could hear shouts across my corpus callosum, from one hemisphere to the other. I remember thinking, with what was left in charge of my consciousness, that I wanted no part of the science of beavers and otters; I wanted never to know how they performed their marvels; I wished for no news about the physiology of their breathing, the coordination of their muscles, their vision, their endocrine systems, their digestive tracts. I hoped never to have to think of them as collections of cells. All I asked for was the full hairy complexity, then in front of my eyes, of whole, intact beavers and otters in motion. Something worth remembering had happened in my mind, I was certain of that; I would have put it somewhere in the brain stem; maybe this was my limbic system at work. I became a behavioral scientist, an experimental psychologist, an ethologist, and in the instant I lost all the wonder and the sense of being overwhelmed. I was flattened. But I came away from the zoo with something, a piece of news about myself: I am coded, somehow, for otters and beavers. I exhibit instinctive behavior in their presence, when they are displayed close at hand behind glass, simultaneously below water and at the surface. I have receptors for this display. Beavers and otters possess a “releaser” for me, in the terminology of ethology, and the releasing was my experience. What was released? Behavior. What behavior? Standing, swiveling flabbergasted, feeling exultation and a rush of friendship. I could not, as the result of the transaction, tell you anything more about beavers and otters than you already know. I learned nothing new about them. Only about me, and I suspect also about you, maybe about human beings at large: we are endowed with genes which code out our reaction to beavers and otters, maybe our reaction to each other as well. We are stamped with stereotyped, unalterable patterns of response, ready to be released. And the behavior released in us, by such confrontations, is, essentially, a surprised affection. It is compulsory behavior and we can avoid it only by straining with the full power of our conscious minds, making up conscious excuses all the way. Left to ourselves, mechanistic and autonomic, we hanker for friends. Maybe altruism is our most primitive attribute, out of reach, beyond our control. Or perhaps it is immediately at hand, waiting to be released, disguised now, in our kind of civilization, as affection or friendship or attachment. I don’t see why it should be unreasonable for all human beings to have strands of DNA coiled up in chromosomes, coding out instincts for usefulness and helpfulness. Usefulness may turn out to be the hardest test of fitness for survival, more important than aggression, more effective, in the long run, than grabbiness. If this is the sort of information biological science holds for the future, applying to us as well as to ants, then I am all for science. One thing I’d like to know most of all: when those ants have made the Hill, and are all there, touching and exchanging, and the whole mass begins to behave like a single huge creature, and thinks, what on earth is that thought? And while you’re at it, I’d like to know a second thing: when it happens, does any single ant know about it? Does his hair stand on end? There is nothing at all absurd about the human condition. We matter. It seems to me a good guess, hazarded by a good many people who have thought about it, that we may be engaged in the formation of something like a mind for the life of this planet. The Medusa and the Snail is an uncommonly wonderful read in its entirety — a gift from one of those rare science writers whose work rises to the level of enchantment. Complement this particular portion with Lucille Clifton’s spare and stunning ode to our kinship with all life-forms and pioneering naturalist John Muir on the interconnectedness of the universe, then revisit Lewis Thomas on our human potential and our cosmic responsibility. There’s a passage in Proust that offered useful guidance during meetings to judge this year’s Goldsmiths prize, about “artificial novelty” in a work of art being less effective than a repetition designed to reveal a new truth. (I imagine he’s implicitly defending his own method as a novelist.) What we were looking for – in a prize designed to reward the “genuinely novel” – wasn’t innovation as such, but writers able to take fresh possession of the form’s resources. Books that had strong advocates among the judges but couldn’t quite displace the six on our list have earned thanks for the pleasure they gave us – Jonathan Buckley’s The Great Concert of the Night, Jeremy Gavron’s Felix Culpa, Danny Denton’s The Earlie King & The Kid in Yellow, Nick Harkaway’s mighty fantasy Gnomon. There have been novels in verse before, but the one we selected, Robin Robertson’s The Long Take, does a remarkable job of harnessing the dynamics of prose fiction and has a superb sense of time and place. The main character, a traumatised veteran of the second world war, sees the world collapsing around him a second time in the corporate destruction of Los Angeles as a liveable city. Cinephiles will particularly respond to the element of film noir, not a matter of vague atmosphere but specified shots, angles and film shoots. A posthumously discovered treasure from the patron saint of children’s books emanating existential consolation for the trauma of living. This article originally appeared in The New York Times Book Review on September 25, 2018. The Bulgaria of my childhood was bereft of the classics of American children’s literature. Instead, I grew up with the unsugared Brothers Grimm and the strangeness of Lewis Carroll. 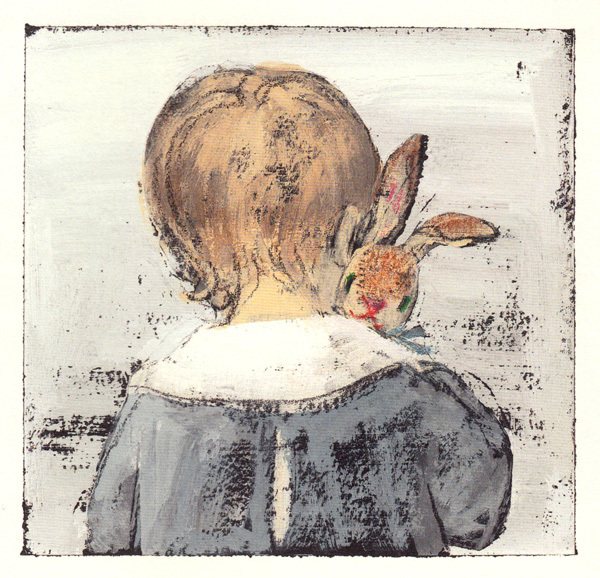 I discovered The Velveteen Rabbit and The Giving Tree and Charlotte’s Web only as a young adult, and found in them a shock of warmth and wisdom for my fledgling life as an immigrant. I still remember sitting on a Brooklyn rooftop and reading Where the Wild Things Are for the first time, well into my twenties, aching with dislocation from the world and a roaring sense of lack of control. I remember feeling suddenly awash in reassurance that the inconsolable loneliness of living is survivable, that love can be steadfast and belonging possible even amid the world’s wildness. “I don’t write for children,” Maurice Sendak told Stephen Colbert in his last on-camera appearance, four months before his death in 2012. “I write — and somebody says, ‘That’s for children!’” From his largely forgotten 1956 debut as the author-illustrator of a picture book, Kenny’s Window — a philosophically inclined parable of love, loneliness, and knowing what you really want — to his most beloved masterpieces, Where the Wild Things Are and In the Night Kitchen, to his final farewell to the world, the beautiful and sorrowful My Brother’s Book, Sendak has enchanted generations with singularly illustrated stories that delight children and emanate existential consolation for the trauma of living. In this uncanny world, two sugar beets are getting married, but their perfect wedding gift — a set of bagpipes, of course — is in the hands of the formidable Bumbo, a monster resembling a Wild Thing skinned of sweetness. As Presto and Zesto journey through Limboland to steal the bagpipes from Bumbo, they encounter visual strangenesses left unexplained — a rat holding a ruler, a goat’s rear sticking up from a pond — indulging the way children’s minds so naturally whisper This could be us at even the most bizarre and improbable vignettes. The story is not so much a story as a narrative filmstrip reeled around Sendak’s art — ten drawings he created in 1990 as projections for a London Symphony Orchestra performance of a 1927 opera setting Czech nursery rhymes to music. Sendak resurfaced the art once more for a charity concert in 1997, then tucked it away for good. But Yorinks — a friend of Sendak’s for more than four decades who had collaborated with him on two previous children’s books, The Miami Giant and Mommy — had fallen in love with the drawings and never forgot them. He brought them up over a work lunch with Sendak and suggested that they might be a book — a book in need of a story. That afternoon, the two friends arranged the pictures on Sendak’s drawing table and, in a state of creative flow punctuated by wild bursts of laughter, began improvising the story. They refined the manuscript over the coming months and declared it a picture book. But then, as it happens in life, life happened. Presto & Zesto vanished in the shadow of other projects. One day long after his friend’s death, Yorinks received a note from Sendak’s longtime assistant and now literary executor, Lynn Caponera, alerting him that she had discovered among the author’s papers a strange manuscript titled Presto & Zesto in Limboland. I imagine how difficult it must have been for Yorinks to revisit this story of two friends, named after the nicknames he and Sendak had for each other; how difficult and beautiful to see it morph into a private elegy — in the classic dual sense of lamentation and celebration — for a lost friendship. And so, six years after Sendak’s death, this unusual picture book is finally being born. It is both like and unlike classic Sendak. At times, there are leaps in the narrative that strain the effort to stitch the drawings into a cohesive story. As a young man, when asked to illustrate a book of Tolstoy’s short stories, Sendak had confided in his editor — the visionary Ursula Nordstrom — that he admired the “cohesion and purpose” of Tolstoy’s narrative but feared that his art would fail to match it. Nordstrom, ever the nurturer of unpolished genius, assured him otherwise. He did illustrate Tolstoy. This formative storytelling ideal of “cohesion and purpose” became an animating force of his work. Perhaps Sendak put Presto & Zesto in a drawer because he was unsure the book had achieved this. We speak of love as a gift, but although it may come at first unbidden, as what Percy Shelley called a “speechless swoon of joy,” true intimacy between two people is a difficult achievement — a hard-earned glory with stakes so high that the prospect of collapse is absolutely devastating. When collapse does happen — when intimacy is severed by some disorienting swirl of chance and choice — the measure of a love is whether and to what extent the kernel of connection can be salvaged as the shell cracks, how willing each partner is to remain openhearted while brokenhearted, how much mutual care and kindness the two who have loved each other can extend in the almost superhuman endeavor of the redeeming closeness after separation. How to do this with maximal integrity, in a way that embodies Adrienne Rich’s definition of honorable human relationships, is what the poet Rainer Maria Rilke (December 4, 1875–December 29, 1926) explores in one of his staggeringly insightful letters, included in the posthumous collection Letters on Life (public library), edited and translated from German by Ulrich Baer. More than a decade before Sontag and more than half a century before the social web as we know it, the mathematician, philosopher, and cybernetics pioneer Norbert Wiener (November 26, 1894–March 18, 1964) offered a prescient admonition against this tendency in The Human Use of Human Beings: Cybernetics and Society (public library) — his visionary 1950 treatise on communication, control, and the moral dimension of technology, which went on to influence thinkers as diverse as beloved author Kurt Vonnegut, anthropologist Mary Catherine Bateson, and virtual reality pioneer Jaron Lanier. The newspaper business has come to be the art of saying less and less to more and more… [This] applies equally to the radio, to television, and even to bookselling. Thus we are in an age where the enormous per capita bulk of communication is met by an ever-thinning stream of total bulk of communication. More and more we must accept a standardized inoffensive and insignificant product which, like the white bread of the bakeries, is made rather for its keeping and selling properties than for its food value. This is fundamentally an external handicap of modern communication, but it is paralleled by another which gnaws from within. This is the cancer of creative narrowness and feebleness. The artist, the writer, and the scientist should be moved by such an irresistible impulse to create that, even if they were not being paid for their work, they would be willing to pay to get the chance to do it. However… it is now considered perhaps more a matter of social prestige to obtain a higher degree and follow what may be regarded as a cultural career, than a matter of any deep impulse… The earlier stages of creative work, whether in the arts or in the sciences, which should properly be governed by a great desire on the part of the students to create something and to communicate it to the world at large, are now subject instead to the formal requirements of finding Ph.D. theses or similar apprentice media. Lord only knows that there are enough problems yet to be solved, books to be written, and music to be composed! Yet for all but a very few, the path to these lies through the performance of perfunctory tasks which in nine cases out of ten have no compelling reason to be performed. Heaven save us from the first novels which are written because a young man desires the prestige of being a novelist rather than because he has something to say! Heaven save us likewise from the mathematical papers which are correct and elegant but without body or spirit. Heaven save us above all from the snobbery which not only admits the possibility of this thin and perfunctory work, but which cries out in a spirit of shrinking arrogance against the competition of vigor and ideas, wherever these may be found! When there is communication without need for communication, merely so that someone may earn the social and intellectual prestige of becoming a priest of communication, the quality and communicative value of the message drop like a plummet. The Human Use of Human Beings remains a sobering and intensely insightful read. Complement this particular aspect of it with Ursula K. Le Guin on the magic of real human communication, Erich Fromm’s six rules of listening for unselfish understanding, and Alain de Botton on what makes a good communicator. People grow up who not only don’t know how to read, a late-acquired skill among the world’s majority; they don’t know how to talk, to tell stories, to sing, to listen and remember, to argue, to pierce an opponent’s argument, to use metaphor and imagery and inspired exaggeration in speech; people are growing up in the slack flicker of a pale light which lacks the concentrated bum of a candle flame or oil wick or the bulb of a gooseneck desk lamp: a pale, wavering, oblong shimmer, emitting incessant noise, which is to real knowledge or discourse what the manic or weepy protestations of a drunk are to responsible speech. Drunks do have a way of holding an audience, though, and so does the shimmery ill-focused oblong screen. Welcome to this week’s blog. Here’s our roundup of your comments and photos from last week. Neanderthals meet Homo sapiens. Beautiful. Devastating. A terrific read, and just what a novel ought to be – affecting and fluent and magically full of life and experience. A good friend put it in my hand the other day and said I really should read it. A treat. So I’ve read quite a few books since last contributing here, too many to discuss in any depth I suppose — but I will say that a particular highlight was A Field Guide to Getting Lost, which I found not only illuminating and deeply intelligent but brilliantly well-written too, exactly how I like my nonfiction prose: bright, crystalline, articulate and occasionally poetic. Despite being a sucker for vintage science-fiction I’ve somehow never got round to this one, and I’m mightily impressed. The vision is indeed prescient and terrifying, but what is most enjoyable is the clever humour laced throughout. All in all, it offers more satisfying prose than Orwell’s 1984, a novel that is always mentioned in the same breath as Huxley’s. My favourites are her late ones, where she’s confident and a bit confused by the changing times. This produces some beautifully surreal, spooky fantasies such as Third Girl, The Pale Horse and At Bertram’s Hotel. Tons of atmosphere, lots of disapproval of young people of the sixties (I find this deeply comfortable) – an apparent disregard for plot, and then suddenly she bamboozles you at the end with this dazzling burst of super logic! It’s Christie at her most surreal and wonderful. The story covers the plight of a family during the Austro-Hungarian empire climaxing up to the point of the outbreak of the Great War and its inevitable collapse. Atmospheric and vivid prose made it a joy to read with all facets of the human condition expertly portrayed. In particular, the unspoken emotions that all too often exist between father & son and the overwhelming sense of fate that we sometimes feel in our life. Only upon its completion did I appreciate the scope and all-encompassing nature of the story though at no point did it ever feel disjointed. One of those books that leaves a long, pleasant aftertaste … Just like a good wine. After a few pages I was so frightened that I turned on the TV, simply for the sounds of ordinariness. What an amazing writer she is, or rather, was. Halfway through the story I thought, No – I can’t read books as ridiculously scary as this. By story’s end, I thought, More, more, more! She has the ability to make one really feel fear, anger, frustration, etc., so that they become actual bodily sensations. I am enchanted by her writing. Have also read as much as I can find about her life, which seems to have been strange and difficult. A big thank you to Isabelle Leinster, Tom Mooney and others who recommended Don Winslow to me a few weeks ago. I absolutely loved The Power of the Dog. Gripping, brutal, and with such incredible energy. I had a few minor quibbles with some of the characterisation of Art and Nora in particular, who felt a bit out of central casting at times. But it certainly didn’t detract from a fantastic read, and I can’t wait for the next one. Thanks! “This great blooming garden-realm”: it turns out Henry James quite liked California. Christopher Hitchens explains how much to drink while writing. 10 writers who dropped out of school. “When you’re an artist working outside the country, you’re not supposed to criticise Denmark. ‘Don’t foul the nest, don’t piss the nest,’ is what they say”: Dorthe Nors is always fascinating. The first reviews of every James Baldwin novel. Show, don’t tell is one of the most basic principles of narrative fiction. Defined in a nutshell, it is the technique that allows readers to experience the events of the story, rather than observing them. Showing readers what’s happening involves active verbs that evoke all the senses. Showing invites readers to inhabit the context of the story with the subtext of their own imaginations. Both showing and telling are equally viable and important fictional techniques. But the weight of a polished narrative should rest more heavily on showing than telling. “The art of showing” is really “the art of narrative writing.” As such, it’s a technique all writers are constantly learning and refining. In the last year or so, I’ve learned some things about my own use of this technique that have helped me take dramatizing vs. summarizing to a better level in my own writing. That’s why, today, I want to talk about three ways you can up your “show, don’t tell” game. “Show, don’t tell” is often one of the first critiques a fiction writer receives. Usually, the command is more than a little confusing. What does “show, don’t tell” even mean? You look at the passage your beta reader circled and you try to understand what’s wrong with the way you phrased it and how you could possibly have written it any other way. Learning to recognize telling and differentiate it from showing can be a lengthy and sometimes less-than-intuitive process. I think many of us remember the moment when we suddenly got it and started recognizing telling in our writing and understanding how to rewrite it into more evocative showing. Danny slogged through the tangled grass. Christopher marched along behind him, rifle in both hands, head up, eyes alert, just like his papa. Two or three times, Danny stopped to show him the buffalo tracks and the broken foliage the bull had torn up after his first shot. The father and son were hunting a buffalo. Both convey the same information. In fact, the second “telling” paragraph, conveys it much more efficiently (and therefore, would be appropriate in certain places in a story, for certain stylistic reasons). The second paragraph does not, however, show us what is happening. It does nothing to personify either the characters or the setting. There are varied levels of showing. Part of the art of learning to write solid narrative is learning to consciously weave various degrees of dramatization into the story. Full-on showing at every juncture would drown most stories in unnecessary details (not to mention geysering their word counts). You will rarely, if ever, need to spell out every flinch of muscle involved in your character’s rising from a chair. There will even be times when your best option is to summarize whole swathes of action into a sentence or two. But for the most part, all important events, actions, and feelings should be shown—dramatized. You want to paint word pictures for your readers, so they can experience the story on a sensory level. Perhaps the most obvious example of this is dialogue. Dialogue is the purest form of showing. It gives readers a real-time accounting of what the character is hearing, word for word. He told her about the buffalo. >>Are Your Verbs Showing or Telling? Once dramatizing your story’s action has become second nature, you will have mastered the most important aspects of show, don’t tell. Chances are you’re now writing the kind of narrative that would pass a reader’s first-scan test of your book. But, as I said, learning to master show, don’t tell is largely the art of mastering writing itself. Always room for improvement! Today, I want to talk about three specific ways to look for places in your story where you might be able to change out sneaky telling for more powerful showing. But I constantly repeat this little phrase—“never name an emotion“—as my first line of defense against slipping into what is, perhaps, the easiest of all tells. Emotion can be a difficult thing to describe, much less evoke. We can show characters falling in love, holding hands, laughing, kissing—but can we be sure readers know they’re happy? Or what if they’re going through all these motions, but it’s just on the surface and, really, they’re extremely unhappy? It’s so much easier to just name the emotion. Never name a sense (e.g., “she felt cold”; “he saw the truck”; “she smelled the coffee”; “it tasted sweet”; “he heard the explosion”). Never name an action (e.g., “she drove the car”; “he got dressed”). 1. Is naming the emotion/sense/action really the best choice for this scene? 2. Could you rephrase with a stronger, less obvious verb? 3. Would you get more mileage out of an action if you dramatized it? She picked up the train of her gown and twirled around, dancing through the empty garden. 4. Instead of mentioning a sensory experience, could you describe what the character is sensing? The wet smell of earth, still cool from the night, filled her throat, and she closed her eyes and breathed. 5. Can you imply the character’s emotion through the context—either supportively or ironically? He smiled at her, and she forced herself to smile back. I write novels; I don’t write memoirs (so far, anyway). But I still gleaned a ton from Mary Karr’s dead-on book The Art of Memoir. The whole book is a masterclass in vigorous vulnerability and integrity, but one of the best object lessons I took away was how I, as a novelist, could apply a memoirist’s rigorous approach to show, don’t tell. Imagine for a moment you’re not writing fiction. Instead of being a novelist, you’re now a memoirist, writing about real events from your own life. Pick something in your life that still causes you high emotion. For the sake of illustration, let’s say you’re going to write about how an older girl at school bullied you mercilessly. You were her victim; she was clearly the antagonist in the scene; and you want your readers to understand this. But here comes the tricky part. You are not allowed to offer any commentary on your relationship with this bully: how she made you feel back then or how her effect upon you still clangs through your life today. You are not allowed to tell readers she was the inexcusable abuser of an innocent child. You are only allowed to show readers what happened. Nothing more, nothing less. You can’t tell us she was mean to you, but you can show us when she pulled your hair. You can’t tell us you think she was probably the victim of abuse in her own family, but you can show us that moment when you found her crying in the stairwell. You can’t tell us she scared you out of her mind, but you can show us that day you threw up before going to school. Even just imagining these scenarios, you can see how much more power there is in the showing than the telling. Now, apply this to your fiction. This is arguably a little trickier, since now you’re not remembering real details, but creating scenarios that will evoke your characters’ emotions. Doing so will not only enable you to create a stronger scene and a more vivid reading experience, it will also force you to dig deep for story events that properly align with your character’s emotions and motivations at every turn. Remember: you’re not allowed to tell readers your character is conflicted in her love life. You have to show them why. You’re not allowed to tell readers your character is scared. You have to make them feel the fear too. In short, you’re not allowed to slant your scenes. You can’t massage the commentary to force readers to see it how you see it. You have to make them see it all for themselves. Here’s the awesome thing about good showing: if you’re doing it right, you don’t ever have to hold readers’ hands by telling them. Still, “reinforcement telling” is an easy crutch to hang onto. I know because I do it all the time. I’ll do my best to write an evocative scene showing readers all the important actions, senses, and especially emotions. And… then I’ll start doubting myself and throw in a paragraph or two explaining the character’s mental process in the midst of it all. Nothing here was simple—not her uncle’s involvement, not her relationship with her Gifted, and certainly not her obligations to her crown and her country, which demanded another set of obligations entirely to Rivalé. If she’d been a simpler woman, perhaps she could have thrown all that over. But she wasn’t. That woman had been born and had died all within the few hours that ended the last war. Instead, she chased her demons back inside their dungeon and closed the door. I really liked this paragraph, describing my female lead’s interiority in a complicated scene. But… I didn’t need it. I chopped it and immediately could feel that the scene breathed better without it. Thanks to recent beta reader (thank you, Kate Flournoy! ), I’m finally starting to consistently recognize where I’m doing this in my fiction. But, you may be thinking, what if I really do need to explain my character’s mental process? Fair question. In fact, that question is one of the reasons this final pitfall is so easy to fall into and so hard to spot. After all, if you’re writing a deep POV, every single word is more or less in your character’s head. Readers want to be inside his head. They want to know what he’s thinking and feeling. And sometimes they’re even going to want it spelled out for them. So here are a couple fast questions I’ve developed to help me gut-check when an introspective paragraph is worthy of inclusive—and when it’s just getting in the way by explaining the scene’s otherwise strong context. Q1: Is this information evident from the context? Would readers understand this emotion or motive without the explanation? Q2: Could I delete this telling explanation from the narrative and instead create context within the scene that shows it? Now a caveat: it’s perfectly fine to write out all this telling stuff—especially the parts where you’re working through your characters’ emotions—in the first draft. Get it all out there on paper if you need to. But think about it as if you’re explaining it to yourself. Once you’ve got it out of your system, go back and ruthlessly delete useless tellings. Readers don’t need them nearly as much as we do. The better you get at refining show, don’t tell, the better your writing will grow on every single page. Use these tips to gut-check your progress and clear away any useless clutter getting in between your readers and your story. Wordplayers, tell me your opinions! What has been your greatest challenge with show, don’t tell? Tell me in the comments! The post 3 Tips for Improving Show, Don’t Tell appeared first on Helping Writers Become Authors.